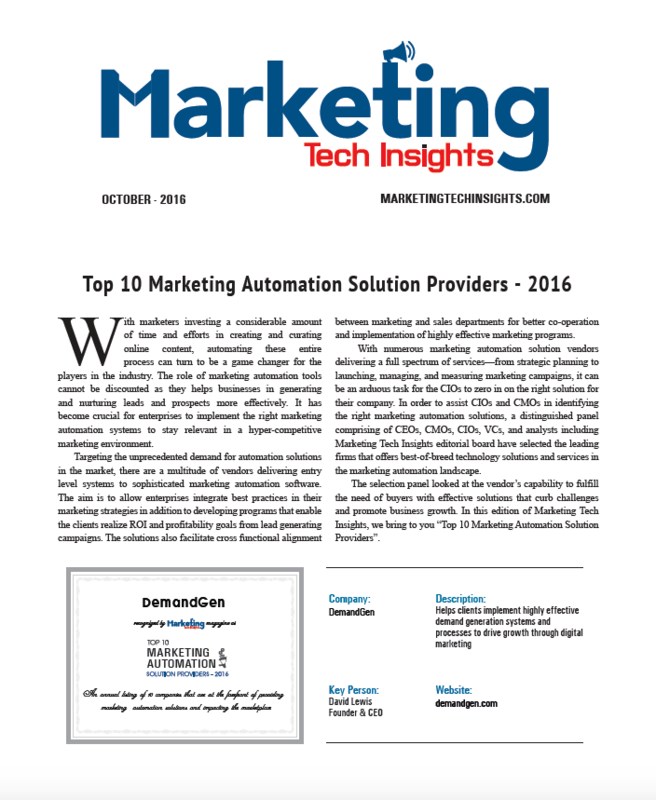 DemandGen has been recognized as one among the Top 10 Marketing Automation Solution Providers by Marketing Tech Insights. DemandGen provides clients the people and processes to not only help them accelerate their marketing automation agenda, but to ensure marketing matters more within the organization. It provides ready-to-go expertise that helps you successfully deploy cutting-edge marketing tools, set up an entire content-marketing infrastructure, and bring impact to the organization.